Perhaps you’ve heard the expression: “We have met the enemy and he is us.” Cartoonist Walt Kelly’s famed possum, Pogo, first uttered that cry. In light of alien disaster movies like the recent sequel Independence Day: Resurgence and America’s disastrous wars of the 21st century, I’d like to suggest a slight change in that classic phrase: We have met the alien and he is us. Allow me to explain. I grew up reading and watching science fiction with a fascination that bordered on passion. In my youth, I also felt great admiration for the high-tech, futuristic nature of the US military. When it came time for college, I majored in mechanical engineering and joined the US Air Force. On graduating, I would immediately be assigned to one of the more high-tech, sci-fi-like (not to say apocalyptic) military settings possible: Air Force Space Command’s Cheyenne Mountain. 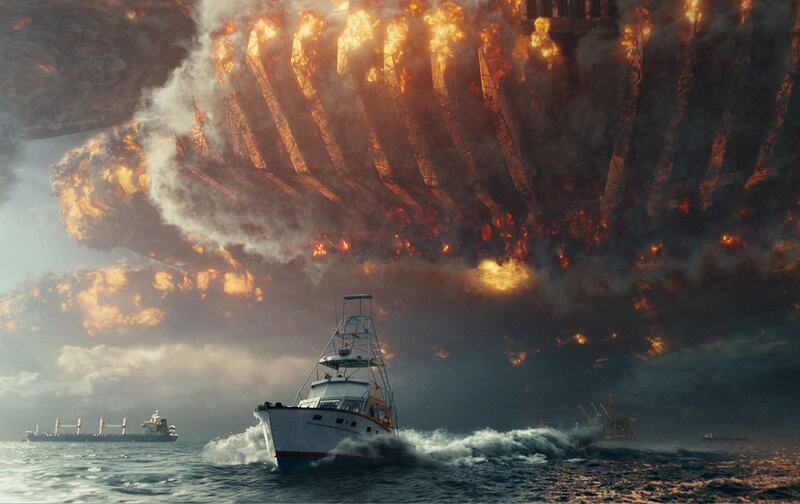 The latest Independence Day movie, despite earning disastrous reviews, is probably still rumbling its way through a multiplex near you. The basic plot hasn’t changed: Ruthless aliens from afar (yet again) invade, seeking to exploit our precious planet while annihilating humanity (something that, to the best of our knowledge, only we are actually capable of). But we humans, in such movies as in reality, are a resilient lot. Enough of the plucky and the lucky emerge from the rubble to organize a counterattack. Despite being outclassed by the aliens’ shockingly superior technology and awe-inspiring arsenal of firepower, humanity finds a way to save the Earth while—you won’t be surprised to know—thoroughly thrashing said aliens. Remember the original Independence Day from two decades ago? Derivative and predictable it may have been, but it was also a campy spectacle—with Will Smith’s cigar-chomping military pilot, Bill Pullman’s kickass president in a cockpit, and the White House being blown to smithereens by those aliens. That was 1996. The Soviet Union was half-a-decade gone and the United States was the planet’s “sole superpower.” Still, who knew that seven years later, on the deck of an aircraft carrier, an all-too-real American president would climb out of a similar cockpit in a flight suit, having essentially just blown part of the Middle East to smithereens, and declare his very own “mission accomplished” moment? In the aftermath of the invasion of Afghanistan and the “shock and awe” assault on Iraq, the never-ending destructiveness of the wars that followed, coupled with the US government’s deployment of deadly robotic drones and special ops units across the globe, alien invasion movies aren’t—at least for me—the campy fun they once were, and not just because the latest of them is louder, dumber, and more cliché-ridden than ever. I suspect that there’s something else at work as well, something that’s barely risen to consciousness here: In these years, we’ve morphed into the planet’s invading aliens. Think about it. Over the last half-century, whenever and wherever the US military “deploys,” often to underdeveloped towns and villages in places like Vietnam, Afghanistan, or Iraq, it arrives very much in the spirit of those sci-fi aliens. After all, it brings with it dazzlingly destructive futuristic weaponry and high-tech gadgetry of all sorts (known in the military as “force-multipliers”). It then proceeds to build mothership-style bases that are often like American small towns plopped down in a new environment. Nowadays in such lands, American drones patrol the skies (think: the Terminator films), blast walls accented with razor wire and klieg lights provide “force protection” on the ground, and the usual attack helicopters, combat jets, and gunships hover overhead like so many alien craft. To designate targets to wipe out, US forces even use lasers! In the field, American military officers emerge from high-tech vehicles to bark out commands in a harsh “alien” tongue. (You know: English.) Even as American leaders offer reassuring words to the natives (and to the public in “the homeland”) about the US military being a force for human liberation, the message couldn’t be more unmistakable if you happen to be living in such countries: The “aliens” are here, and they’re planning to take control, weapons loaded and ready to fire. Like most young Americans then, I saw myself as a plucky rebel, a mixture of the free-wheeling, wisecracking Han Solo and the fresh-faced, idealistic Luke Skywalker. Of course, George Lucas had a darker, more complex vision in mind, one in which President Richard Nixon, not some sclerotic Soviet premier, provided a model for the power-mad emperor, while the lovable Ewoks in Return of the Jedi—with their simple if effective weaponry and their anti-imperial insurgent tactics—were clearly meant to evoke Vietnamese resistance forces in an American war that Lucas had loathed. But few enough Americans of the Cold War–era thought in such terms. (I didn’t.) It went without question that we weren’t the heartless evil empire. We were the Jedi! And metaphorically speaking, weren’t we the ones who, in the end, blew up the Soviet Death Star and won the Cold War? Think for a moment, dear reader, about the optics of a typical 21st-century US military intervention. As our troops deploy to places that for most Americans might as well be in a galaxy far, far away, with all their depersonalizing body armor and high-tech weaponry, they certainly have the look of imperial storm troopers. It’s not the fault of the individual American soldier that, in these years, he’s been outfitted like a Star Wars storm trooper. His equipment is designed to be rugged and redundant, meaning difficult to break, but it comes at a cost. In Iraq, US troops were often encased in 80 to 100 pounds of equipment, including a rifle, body armor, helmet, ammunition, water, radio, batteries, and night-vision goggles. And, light as they are, let’s not forget the ominous dark sunglasses meant to dim the glare of Iraq’s foreign sun. Now, think how that soldier appeared to ordinary Iraqis—or Afghans, Yemenis, Libyans, or almost any other non-Western people. Wouldn’t he or she seem both intimidating and foreign, indeed, hostile and “alien,” especially while pointing a rifle at you and jabbering away in a foreign tongue? Of course, in Star Wars terms, it went both ways in Iraq. A colleague told me that during her time there, she heard American troops refer to Iraqis as “sand people,” the vicious desert raiders and scavengers of Star Wars. If “they” seem like vicious aliens to us, should we be surprised that we just might seem that way to them? Meanwhile, consider the American enemy, whether the Taliban, Al Qaeda, or any of our other opponents of this era. Typically unburdened by heavy armor and loads of equipment, they move around in small bands, improvising as they go. Such “terrorists”—or “freedom fighters,” take your pick—more closely resemble (optically, at least) the plucky human survivors of Independence Day or the ragtag yet determined rebels of Star Wars than heavy patrols of US troops do. Now think of the typical US military response to the nimbleness and speed of such “rebels.” It usually involves deploying yet more and bigger technologies. The United States has even sent its version of Imperial Star Destroyers (we call them B-52s) to Syria and Iraq to take out “rebels” riding their version of Star Wars “speeders” (i.e., Toyota trucks). To navigate and negotiate the complex “human terrain” (actual US Army term) of “planets” like Iraq and Afghanistan, US troops call on a range of space-age technologies, including direction-finding equipment, signal intercept, terrain modeling, and satellite navigation using GPS. The enemy, being part of that “human terrain,” has little need for such technology to “master” it. Since understanding alien cultures and their peculiar “human terrains” is not its forte, the US military has been known to hire anthropologists to help it try to grasp the strange behaviors of the peoples of Planet Iraq and Planet Afghanistan. Yet unlike the evil empire of Star Wars or the ruthless aliens of Independence Day, the US military never claimed to be seeking total control (or destruction) of the lands it invaded, nor did it claim to desire the total annihilation of their populations (unless you count the “carpet bombing” fantasies of wannabe Sith Lord Ted Cruz). Instead, it promised to leave quickly once its liberating mission was accomplished, taking its troops, attack craft, and motherships with it. Consider it an irony of alien disaster movies that they manage to critique US military ambitions vis-à-vis the “primitive” natives of far-off lands (even if none of us and few of the filmmakers know it). Like it or not, as the world’s sole superpower, dependent on advanced technology to implement its global ambitions, the United States provides a remarkably good model for the imperial and imperious aliens of our screen life. We Americans, proud denizens of the land of the gun and of the only superpower left standing, don’t, of course, want to think of ourselves as aliens. Who does? We go to movies like Independence Day or Star Wars to identify with the outgunned rebels. Evidence to the contrary, we still think of ourselves as the underdogs, the rebels, the liberators. And so—I still believe—we once were, a long time ago in a galaxy far, far away.